Mary’s Medicinals is a multi-award winning new cannabis invention that works much like that of a nicotine patch, allowing users to apply it directly to the skin to receive a highly accurate dose of medication. Today’s smokers are always inventive, finding more and more ways to administer the ever lovable cannabis. At the Stoner’s Cookbook, we’ve tried them all, ranging from the traditional methods of smoking straight flower, to the highly condensed power hits of concentrated hash, dabs, rosin and shatter, and the humming body highs of dosing edible gummy bears, chocolates, cookies, and succulent candies. Yet this time, and as always, we wanted more… So we set out on a mission to find the newest and healthiest alternative to smoking the glorious goods. This was something completely different than our normal pot stop and what we found was that Mary’s Medicinals had branded a fascinating new cannabis invention that works much like that of a nicotine patch allowing users to apply it directly to any part of the skin to receive a highly accurate dose of medication. Mary’s transdermal products are of the “New Age” having won numerous awards since their invention in 2014, including Invention of the Year in the Cannabis Business, Most Innovative Product at the CannaAwards, and Best New Product at the High Times Cannabis Cup. Mary’s Chief Scientist, Noel Palmer, and other leading experts in the field have found strict measures in how the medication is delivered through the patch. Moreover, these scientists are extracting specific cannabinoids to be used in a variety of different patches, specifically designed for different types of patient treatment. 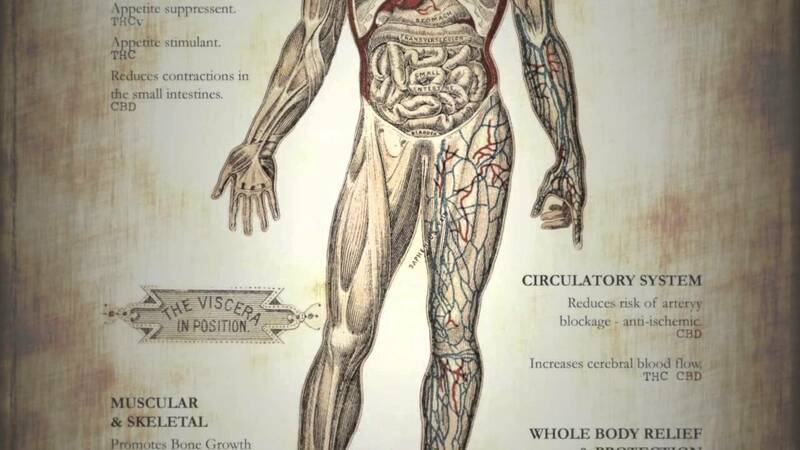 Palmer states, “these patches pass the first point of marijuana metabolism, and have the additional benefit of delivering cannabinoids slowly over a larger span of time than some of these other methods of administration”. 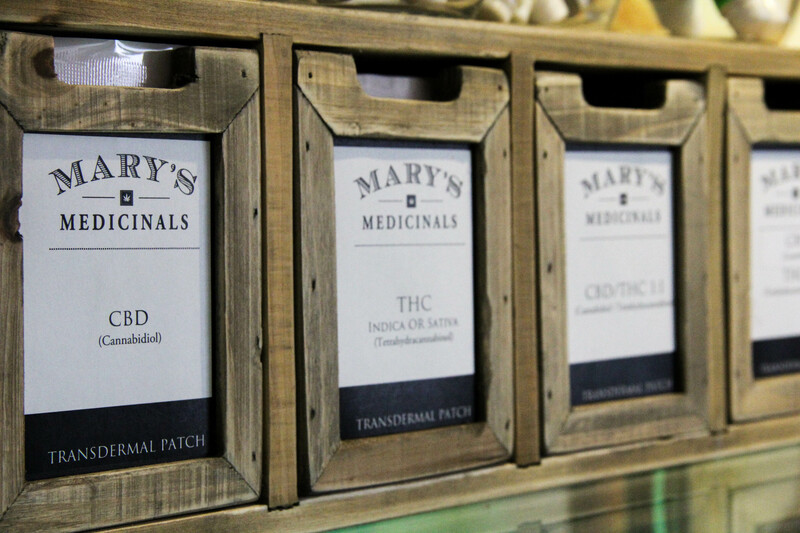 Unlike edible marijuana, which first must pass through the filtration processes of the stomach and liver, Mary’s transdermal patches go directly into the bloodstream creating a much higher bioavailability at onset. Because of this, patch administration also maintains a consistently steady dosage of medicinal marijuana for up to 8 hours. This means there is no degradation of the dosage and the patch delivers at a continual pace, making this a choice means of medication for long periods of time when other options aren’t readily available. By using the patch, risk factors of carcinogenic smoke inhalation are also eliminated, making the medicinal value of the marijuana stand on its own without other long-term side-effects. After applying the patch, the medicinal properties tend to take hold within 20 minutes, gradually increasing and then leveling into the steady dose. Many users have claimed an increase in their overall health after using the patches, ranging anywhere from the desired treatments of migraine headaches to the treatment of more seriously debilitating conditions like multiple sclerosis. Some patients have even stated that these patches have saved their lives by reducing cancerous tumors while others say they are glad to have stopped using morphine and even methadone by replacing them with the marijuana patch for their pain relief. Not only are these new medical findings impressive and significant, furthermore, patients with higher tolerances can wear multiple patches for increased dosages, as well as wear variations of patch types in order to fight multiple illnesses and medical conditions all at one time. The patches are now available in 6 different variations. These are THCa, THC Indica, THC Sativa, CBN, CBD, and CBD:THC 1:1. Mary’s THCa patch is the singular extract of Tetrahydrocannobinolic Acid. This cannabiniod is without psychotropic effects and is shown to have significant benefits in treating cases of inflammatory diseases and muscular diseases, as well as to fight cancerous cells. Sativa/ Indica THC patches also have these same benefits but are also known to reduce nausea and vomiting, help suffering patients to stimulate their appetites, and treat glaucomic conditions. Mary’s CBN (Cannibinol) patch is used in relieving pain, muscle spasms, and is an anti-epileptic and anti-depressant medication. It too works to help patients suffering from glaucoma, inflammatory problems, and sleep insomnia. The CBD (Cannibidiol) medicinal patch is made of the anti-psychotropic cannabinoid known for its ability to treat epileptic seizures, depression, and chronic pain. In recent years, CBD patient testimony is showing its ability to have many other physical and neurological health benefits. Other significant uses of the CBD patch include use as anti-convulsive and anti-psychotic medicine, as well as pain relief from arthritis, inflammation, diabetes, cancer, Alzheimers, PTSD, ADD, MS, and cerebral palsy. Mary’s CBD:THC 1:1 patch works in conjunction with both the effectiveness of the THC cannabinoid and the CBD cannabinoid – sharing an evenly distributed likeness through the patch for those with multiple symptoms needing both types of medication. The indica patch was similar to an edible high without becoming too heavy in the body all at once. It gave relief to muscle pain without an overly groggy and bogged down feeling, eventually lending itself to a nice peaceful sleep. Mary’s Medicinals also carries transdermal pens, non-psychoactive capsules, topical compounds, green and protein powder mixes, and cooling relief CBD muscle freeze. Have you tried any of Mary’s medicine? Which is your favorite product? Let us know on social media or by commenting below.